Dennis and Nolan Clark are father and son artists, who between them have many years of art and teaching experience. They are more into realistic art, but also paint landscapes, animals, flowers, abstract painting, and portraits, among others. 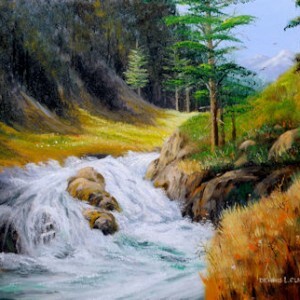 They are proficient in many mediums, including oils, watercolours, pencil work, acrylics, etc. Commissions are also undertaken.